Every year our previous Pre-K teacher made the most beautiful snowflakes to hang on the wall this time of year. 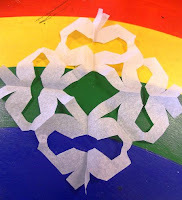 I loved them so much I wanted to make them myself. 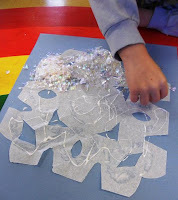 I contacted her and she said she cut them from tissue paper and sprinkled on snow like glitter. The glitter I used was called Cello Glitter. I got it at our local craft store. 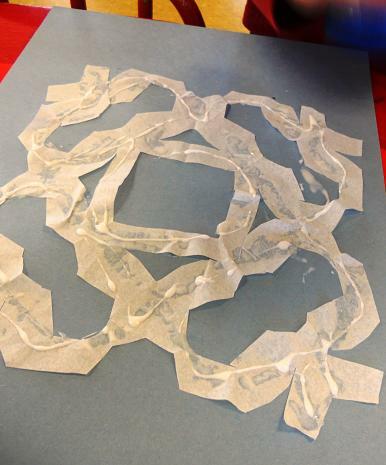 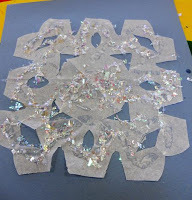 I then helped them put glue on one side of the snowflake--the paper being so fine made it hard to transfer it to the construction paper back. 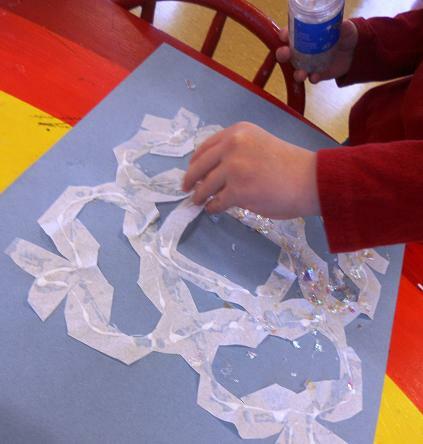 Finally we put glue on the snowflake after it was on the paper and sprinkled the glue on it. 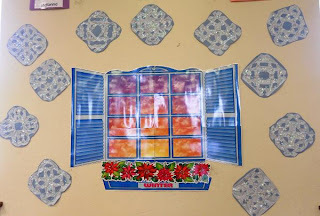 I will say that the project on the wall is beautiful, but I wasn't overly happy with how much the children could do of the project. 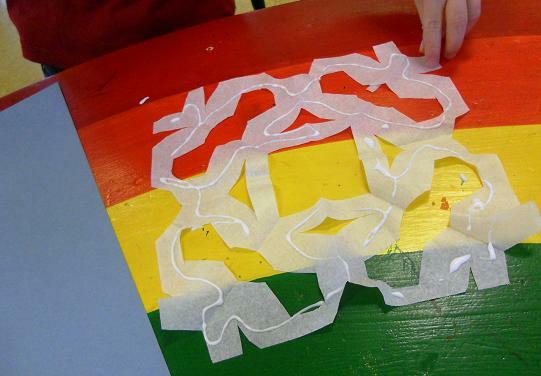 I thought the tissue paper being thin would make it easier for them to cut when it was folded up--it wouldn't be so hard to get through all the layers, but it didn't seem stiff enough. Then I also didn't think about the tissue paper folding all together when we were trying to glue it to the blue paper. 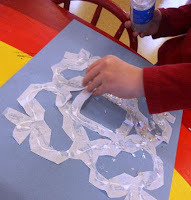 I hope to try this craft again next year with some variations so that the children have more that they can do with it.